Doctor’s: Rate & Economic Update for Doctor’s > Rates on the Rise, Actions are starting to match words. Actions are starting to match words. For the second time in three months, the Federal Reserve raised the federal funds rate — the benchmark rate for other interest rates — this past Wednesday. Specifically, the Fed raised the range on the fed funds rate 25 basis points (a quarter of a percentage point) to 0.75% to 1%. The previous range was 0.50% to 0.75%. Now, all attention turns to anticipating future interest-rate increases. As for the future, low odds are being given for another fed funds rate increase the next time Fed officials meet in early May. But for the meeting after that, in June, the odds jump to 50/50. Traders in fed funds rate futures contracts are betting another 25-basis-point increase in June, or soon after. They’re also betting that another 25-basis-point increase will occur before the year ends. In other words, they’re betting that we’ll end 2017 with three rate increases, which would put the range on the fed funds rate at 1.25% to 1.5% heading into 2018. So, what does this mean to us? If market participants have already priced three rate increases (for the year) into the market, it really doesn’t mean a lot. Market prices aren’t determined by what’s occurring at the present. They’re determined by anticipating the future. If the majority already anticipates a future with two more rate increases, then it’s likely we won’t see much volatility in mortgage rates going forward. The fact that market prices are determined on the margin (anticipating the future) is reflected in the financial axiom “buy the rumor, sell the news.” In other words, move to make a profit on the rumor. When the reality sets in, move to lock in a profit (or a loss). In our case, we saw the opposite action occur. We saw the rumor sold and the news bought. Mortgage rates trended higher into the Fed’s rate increase. Higher rates are indicative of lower bond prices (investors selling bonds). When the Fed announced its rate increase, interest rates, including mortgage rates, dropped. In fact, the yield on the 10-year U.S. Treasury note dropped seven basis points after the announcement. Mortgage rates also dropped. Quotes of 4.25% on a prime conventional 30-year fixed-rate loan were offered after the Fed raised the fed funds rate. In some markets, this was a 0.125% improvement over quotes offered earlier in the day. The intraday move was indeed big. In short, market participants sold the rumor and bought the news: Money gravitated back to long-term securities, including the 10-year U.S. Treasury note and mortgage-backed securities. Bond prices rose and yields (and rates) fell. As we write, the market is priced for two additional 25-basis-point rate increases for 2017. At that market pricing, which we expect to hold, we see the prime 30-year mortgage settling in a 4.125%-to-4.25% range for the immediate future. Important. Purchase activity continues to rise despite higher mortgage rates. We expect to see continued strength in housing starts and sales. Important. Sales are at a multi-year high. All signs point to sales continuing to rise through spring. Important. The housing-starts data for early 2017 suggest that sales will trend higher through the first half of the year. An improving economy was one factor in the Fed’s decision to raise the fed funds rate. If we can use new housing as a barometer, we’re confident that an improving economy is on its way. Home builders certainly see an improving economy. The home builders’ sentiment index spiked six points to post at 71 for March. This is the highest reading of the decade. (Any posting above 50 tilts sentiment toward optimism.) What’s more, home builders are even more optimistic about future sales. That component of the index increased five points to post at 78. 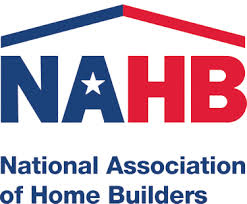 Home builder action backs sentiment. Housing starts increased 3% to 1.288 million units on an annualized rate for February. The important single-family-home segment led the charge. Single-family starts were up 6.5% for the month. We’re finally seeing a pickup in new-home supply. Homes under construction are at the highest level since October 2007. In early January, we asserted that 2017 would be another strong year for housing. We didn’t base our assertion on interest rates holding at 2016 levels either. We based our assertion on growth. As long as job growth remains at its elevated level and economic growth accelerates, like Fed officials expect, a rising fed funds rate (which doesn’t automatically translate to higher long-term rates) won’t derail housing’s upward trajectory.